Do "Very Special Episodes" Need to Make a Comeback? Home Pop Culture Do “Very Special Episodes” Need to Make a Comeback? In late January of 1986, the Space Shuttle Challenger exploded during its televised launch, and the devastating image immediately became part of the American consciousness. What I remember most was watching an episode of Punky Brewster when the tragedy was still fresh. Punky wanted to be an astronaut and was nearly inconsolable after watching the Challenger disaster unfold during class. By the episode’s end, and with a little help from her teacher and Buzz Aldrin, she learns to handle grief and fear. Thinking back on that now, it’s easy to see the sort of transparent way the episode was designed for a generation of children trying to understand what happened. Maybe it also helped me, a 9-year-old Punky Brewster fan who was learning about the solar system in school. I never forgot that episode. When it comes to ’80s TV, a lot of those Very Special Episodes, in which lighthearted family sitcoms turned toward serious subjects, are seared in my mind. Right around the same time that Punky Brewster looked at the Challenger disaster, Mr. Belvedere dealt with a health crisis. In “Wesley’s Friend,” a classmate of Wesley Owens was taken out of school when people learned that he had AIDS. The adults were frightened. The kids—Wesley included—shunned the young boy. Misinformation spread in a way that mimicked real life as the disease continued to make news in the United States. Even after teenage sister Heather rationally explained how AIDS was transmitted, the fear persisted and it took Mr. Belvedere to step in and urge Wesley to step up for his friend. I remember this mostly because the young boys were around my age and the thought of a kid being sick and losing friends on top of that was upsetting. I never forgot that episode either. I think about these shows because, right now, American adults seem to need the sort of guidance that American kids once got from Very Special Episodes. Megyn Kelly’s defense of blackface made me wonder if she ever saw the episode of Gimme a Break when Nell explained why it’s not OK. I didn’t even know what blackface was when I first saw that episode, but I understood that if you did something to upset the loving, maternal figure of a TV show that much, it must be terrible. Very Special Episodes were commonplace in the ’80s, and even into the ’90s, touching on everything from national news to issues like sexual abuse and racism. But times change, and so do TV audiences. The term “very special episode,” once used as a marketing tag, became a catchall phrase to denote comedies that clunkily attempted to delve into the socially relevant topics of the day. It’s true that a lot of those Very Special Episodes were terrible. Even some that weren’t have moments that would be cringey by today’s standards. Others hold up all these years later. I recently re-watched “Concentration,” an episode of The Facts of Life where Blair is trapped in an elevator with an older gentleman who is working as the attendant. During the course of their conversation, she learns that he survived the Holocaust, but lost his brother in the process. The message is about appreciating your siblings while they’re with you, but it also made me think about immigration, trauma, and anti-Semitism, all of which are relevant in 2018. 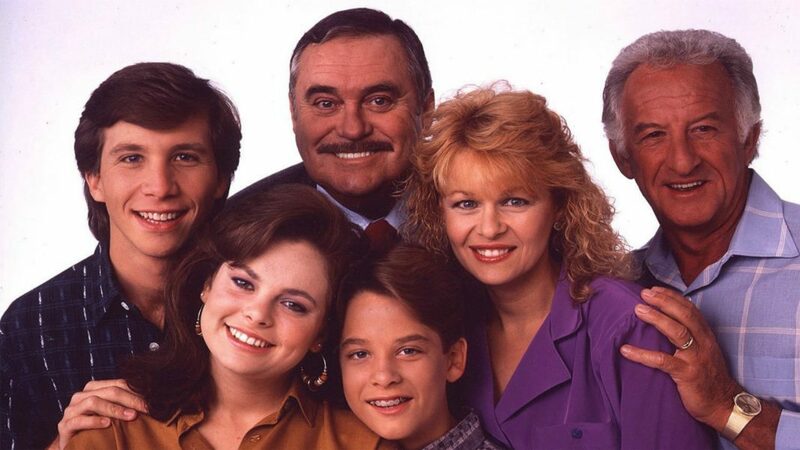 Family Ties was known for its Very Special Episodes, but the show tackled so many different issues during its seven season run that you could argue that it was a Very Special Series. The Keaton family, with hippie parents and an ultra-Republican oldest son, were a lens through which we could see the growing political divide of the 1980s. However, in those serious, topical episodes, they often came together in ways that seem impossible today. There’s one episode in the first season of Family Ties that is a personal favorite, called “Have Gun, Will Unravel.” After their home is burglarized, Steven and Elyse put aside their pacifist principles and buy a gun. They struggle with the decision and, by episode’s end, realize that the weapon could cause more harm than peace of mind. Even conservative Alex is glad that his dad couldn’t bring himself to use the gun. Today, Very Special Episodes are mostly things of the past. Black-ish, which aired an episode about police brutality in 2016, is a notable exception, but the general dearth feels like a missed opportunity to promote empathy at a time when empathy can seem to be in short supply. Maybe, it’s time for a Very Special Comeback. From America’s mass shooting epidemic to racist Halloween costumes, there are a lot of things that people either don’t understand or don’t want to understand—and it seems like social media often helps them remain willfully ignorant. Sometimes you need to sit in front of a bigger screen and take in the message without the option of rage-responding to the character who is speaking.